This article will show you supply chain maturity models that you can use to determine where you are and what you should do to improve supply chain operations. There are so many supply chain maturity models produced by consulting or independent research firms. 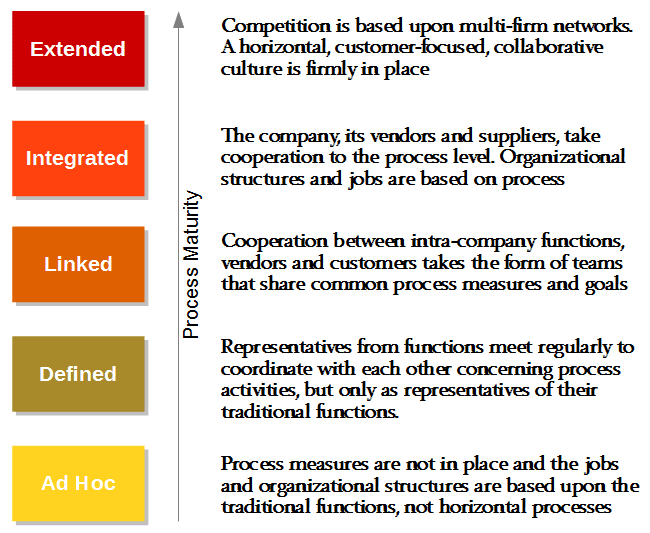 Anyway, the most widely cited maturity models is the work named "The development of a supply chain management process maturity model using the concepts of business process orientation" from McCormack and Lockamy III in 2004. In order to use the maturity model, you have to check which statement illustrates your current situation. After that, set your own target to a higher level. Then you can determine the "gap" between your existing level and desired level and then change business practices to close the gap. As you may notice, the supply chain maturity model is like "KPI" but it's expressed qualitatively and you have to use it strategically. This maturity model is so useful in the way that each description is actually a best practice that you can implement. The modern supply chain strategy goes far beyond "cost reduction" or "service improvement". Many supply chain professionals take part in a revenue-generating project such as New Product Development "NPD". Even though the NPD initiative is often viewed as a marketing thing, in the reality, every company relies on the innovation from its suppliers and supply chain professionals are an important part of it. 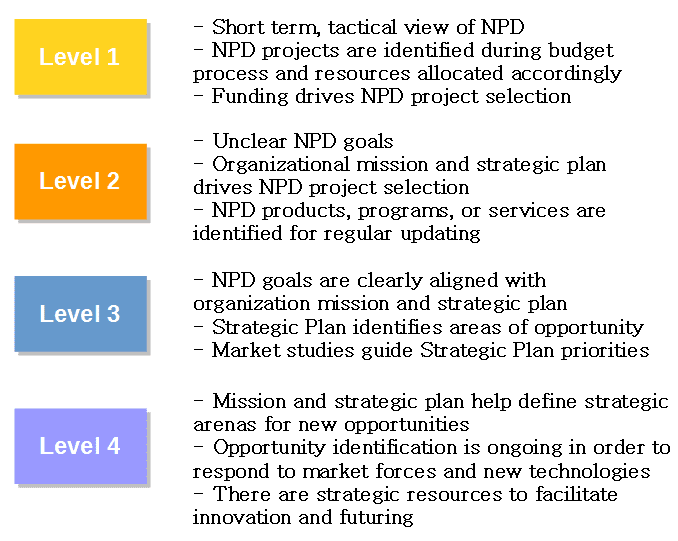 So we can actually lead an NPD process and this maturity model will be useful to create a good NPD strategy. Please note that the market studies can also mean "supply market" so supply-side information is also useful. Every supply chain needs a certain degree of lean capabilities. But, if you're not in the automotive industry where lean practices are widely adopted, how you can develop a lean roadmap within your organization? The Lean Maturity Model is the work of the Lean Aerospace Initiative at MIT. It provides you with a broad overview of lean implementation. What you need to do is to determine which lean practices can be applied in your industry and how you can achieve a higher level of adoption. The last maturity model today is the work of Larry Lapide of MIT. S&OP has been widely implemented since its inception in the 1980s, but many companies still choose to incorporate some of S&OP practices into a generic production meeting. From my experience, the S&OP process is very difficult to get it done right because there is no "one size fits all" solution across every industry. S&OP expert in the retail industry can be naive in certain types of heavy industries. From where I stand, this S&OP maturity model is the only reliable, unbiased diagnostic model that you can use. There is no silver bullet solution for supply chain problems. Each technique produces different results. This article has demonstrated the usefulness of simple technique like the supply chain maturity model and I hope you can incorporate this tool to diagnose your supply chain operations. - Humphrey, W. S. (1988). Characterizing the software process: a maturity framework. IEEE software, 5(2), 73-79. - Lockamy III, A., & McCormack, K. (2004). 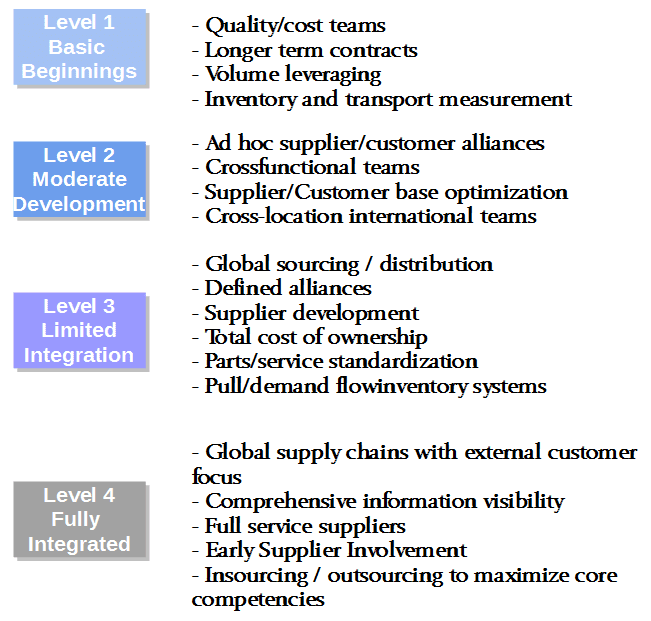 The development of a supply chain management process maturity model using the concepts of business process orientation. Supply Chain Management: An International Journal, 9(4), 272-278. - Nightingale, D. J., & Mize, J. H. (2002). 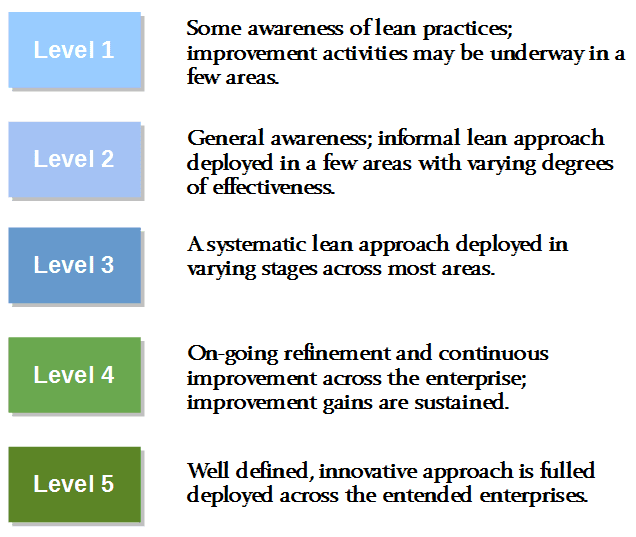 Development of a lean enterprise transformation maturity model. Information Knowledge Systems Management, 3(1), 15-30. - Kahn, K. B., Barczak, G., & Moss, R. (2006). Perspective: establishing an NPD best practices framework. Journal of Product Innovation Management, 23(2), 106-116. - Handfield, R. B., & Straight, S. L. (2004). How mature is your supply chain? 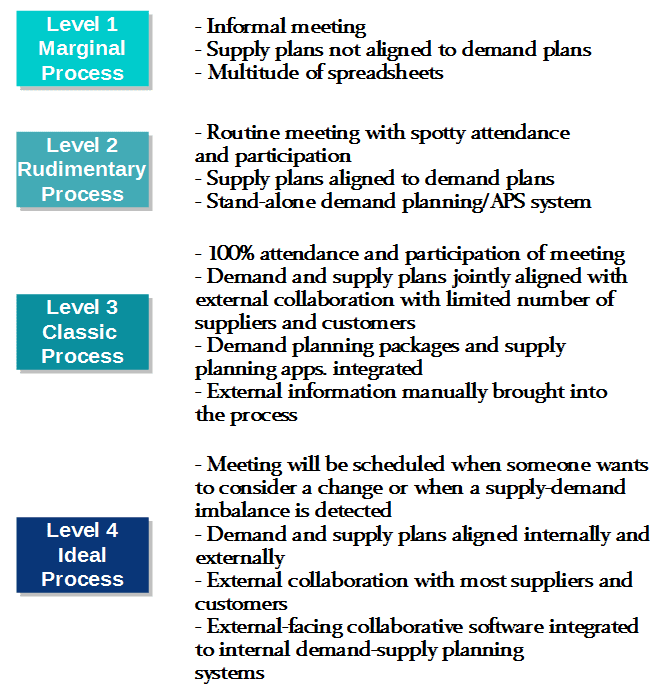 The SCRD capability maturity model. In 89th Annual International Supply Management Conference (pp. 1-6). - Lapide, L. (2005). Sales and operations planning Part III: a diagnostic model. The Journal of Business Forecasting, 24(1).